As noted elsewhere (including in an earlier blog post), DC’s “Tiny Titans” ends in March, after a fifty-issue run. I, along with plenty of readers, will miss this fun title. However, the crew on “Tiny Titans,” Art Baltazar and Franco Aureliani, will be working on a new all-ages title, a revival of “Superman Family,” now titled “Superman Family Adventures.” (Comic Book Resources has more about this title.) 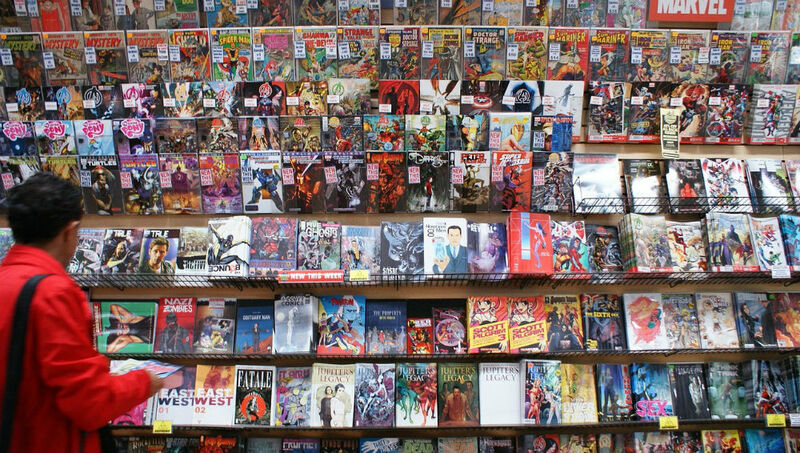 The new title will feature the usual modern Superman supporting cast. Superman, as shown in the picture to the left, will be wearing his new DCNU/upcoming-movie collared costume. Also featured among the supporting cast (presumably alongside Krypto and Streaky) is “Fuzzy, the Krypto Mouse.” Fuzzy is actually a revived old character, who appeared only once—in a 1958 Superboy story. I’ve read the story, but have to admit Fuzzy’s obscure, even by my standards! 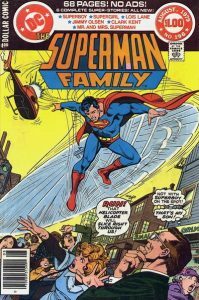 “Superman Family” was originally an anthology title published in the 70s and early 80s by DC Comics, as the result of merging two of their long-running Silver Age titles: “Superman’s Pal, Jimmy Olsen,” and “Superman’s Girl Friend, Lois Lane.” Along with Jimmy and Lois continuing their solo stories in “Superman Family,” there were also stories featuring: Superboy; Krypto; Supergirl; Nightwing and Flamebird (the Batman and Robin-like heroes of the bottle city of Kandor); “The Private Life of Clark Kent” (stories where Clark solved problems without changing into Superman, including one era-appropriate situation Clark once found himself in); and “Mr. and Mrs. Superman,” stories about the married Earth-Two Clark Kent and Lois Lane. The series was apparently successful enough to spawn a shorter-lived similar Batman title, “Batman Family” (featuring Robin and Batgirl prominently). Next Post:Archie gets a *third* alternate-future? !